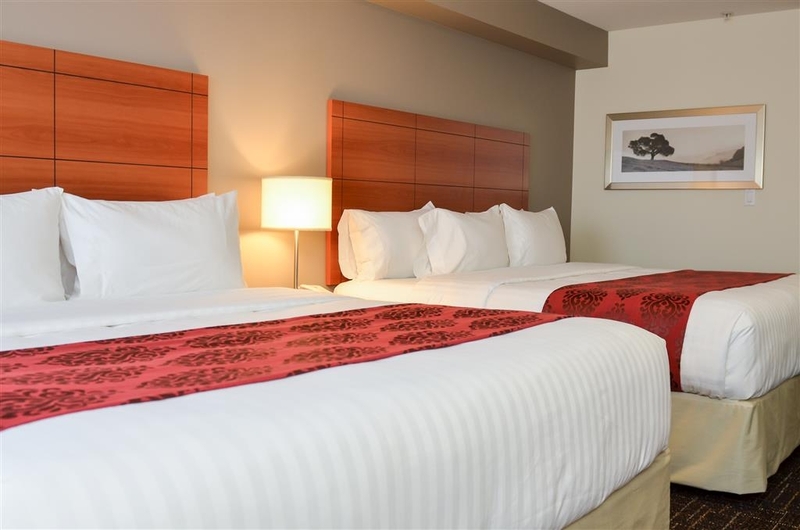 The Best Western Thompson Hotel & Suites is ideally located in the center of Thompson. Come and experience our hotel near the major tourist attractions. Best price guaranteed and exclusive deals. 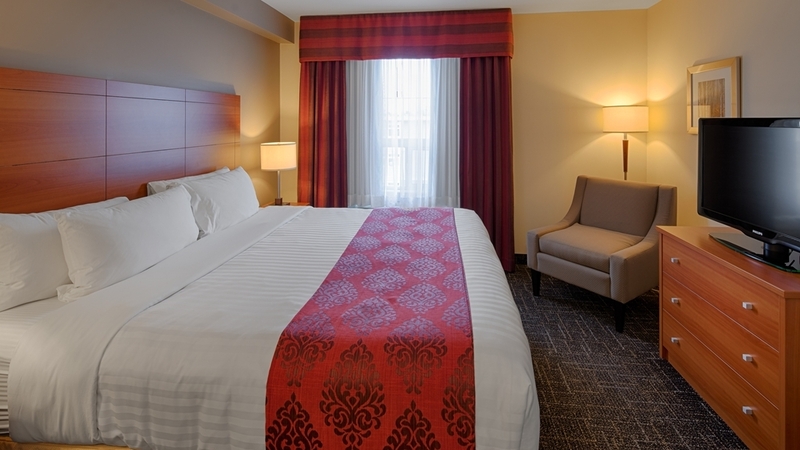 Whether you are here for business or for a new adventure the Best Western Thompson Hotel & Suites has it all. 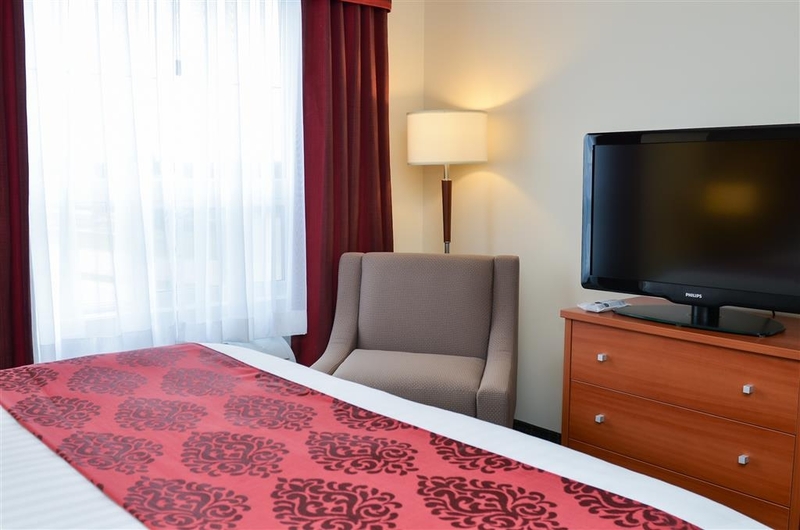 Stay at our 100% non-smoking hotel located in the heart of downtown minutes from the City Center Shopping Mall, University College of the North, City Hall and the Thompson Zoo. 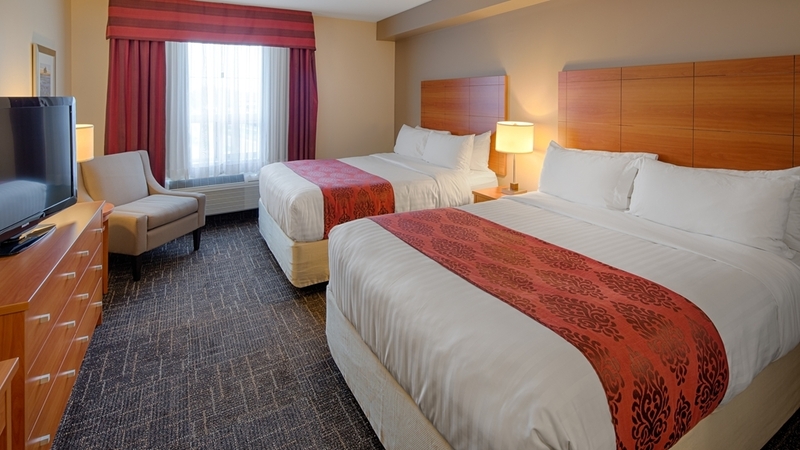 The Best Western Thompson Hotel & Suites proudly features 80 spaciously-appointed guest rooms and suites each equipped with full cable television, in room pay per view movies, high-speed Internet access and complimentary local calls. 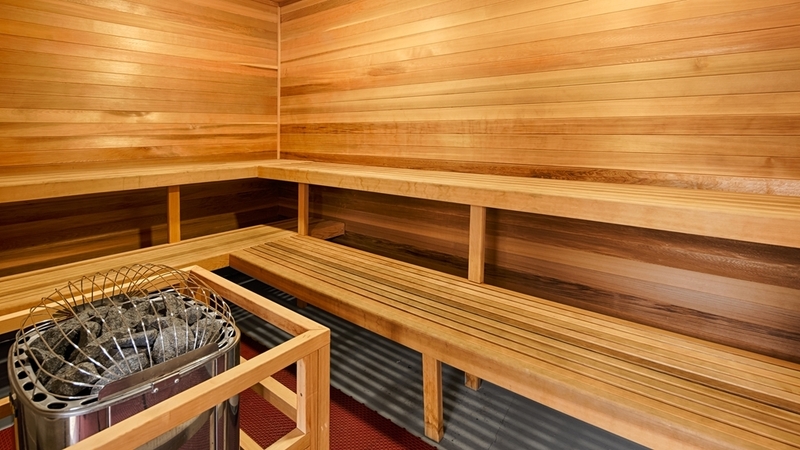 Additional amenities include free hot breakfast, a state of the art fitness center and sauna. 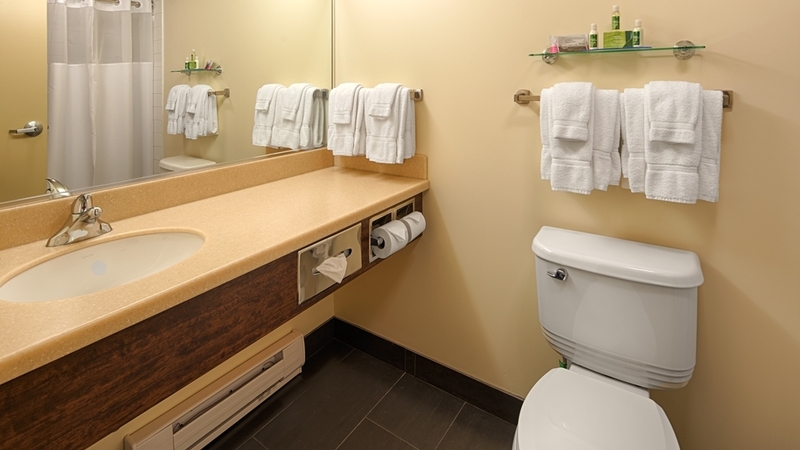 On-site guest laundry room, full business services and meeting facilities. 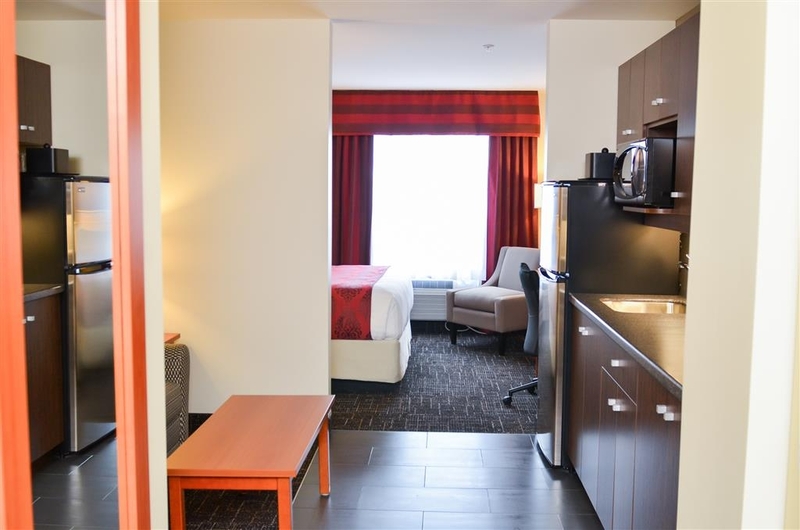 Let the adventure begin while staying at the Best Western Thompson Hotel & Suites. Thompson adventures include fishing, canoeing, hiking, ice skating, cross-country skiing, snowmobiling and plenty more. You can enjoy a wolf experience at the Thompson Zoo and visit other animals of the north. The Heritage North Museum is rich with Aboriginal Culture and Thompson's heritage. For a relaxing day, Paint Lake Provincial Park is only thirty minutes away providing the perfect location for boating and fishing in the summer and snowmobiling in the winter. Travel a little further to Pisew Falls where you can enjoy the peacefulness of the waterfall, or the Rotary Bridge which will lead you to amazing hiking trails. Don't forget your golf clubs! Thompson Golf Club, a beautiful nine-hole fairway is located minutes away from the hotel. 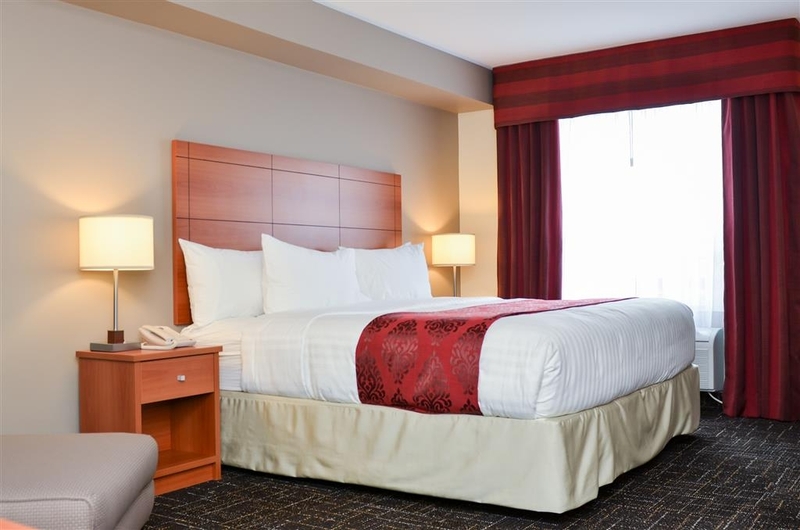 For superior customer service and a convenient location centralized in the middle of Thompson, make a reservation at the Best Western Thompson Hotel & Suites today! Staying 3 nights or more? Check out our 3 Night Stay Promotion by selecting the "View Additional Rates and Rewards" drop-down box above! Location central and easy access to all amenities. Clean, well-kept premises and room extremely clean and pleasant. Bedding comfortable - especially pillows! TV remotes sanitized! Breakfast option provides many options and staff service is top notch! I was pleasantly surprised by the hotel and room - it was very clean and welcoming. The beds were very comfortable, and the bathroom had great hot water and water pressure. The breakfast was good. We will stay here again. Hotel was very well kept and for hotels in Thompson would be top 2 for sure. Breakfast was just ok. Some of the hot food wasn't very fresh. Pancake machine is great. We travelled for hockey and the hotel was pretty patient with our children. For any parents that travel for hockey, this isn't a great place to stay for freedom for the kids as there are no mini sticks allowed to be played but fully understandable why the hotel does this and the cleanliness of the hallways shows that it is working. Overall a good stay and appreciated the patience of the staff. "As always a great stay!" Best place to stay in Thompson. Clean rooms, helpful staff and good breakfast. Close to everything Thompson has to offer. Rooms are modern with different layout options, the balcony suites are a nice touch. 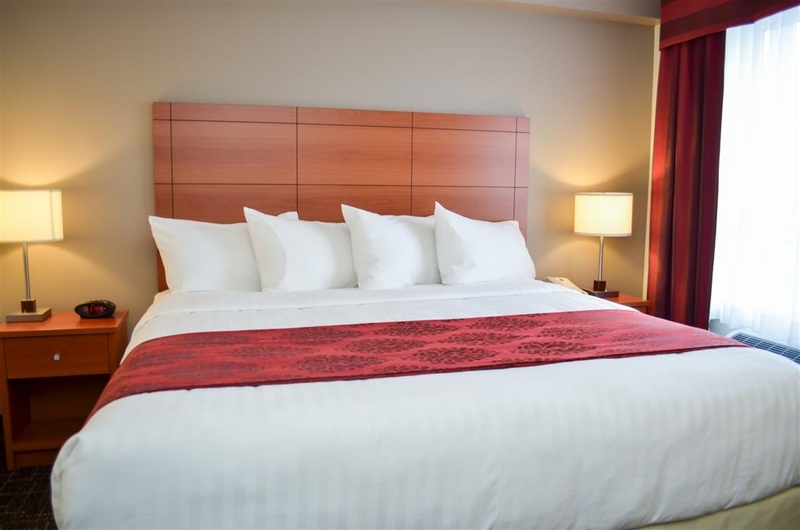 "Great place to stay in Thompson"
The staff were very helpful and friendly and welcoming. The breakfast was hot and fresh and the coffee was great! The rooms are clean and the beds are nice and comfy. Overall my stay here was amazing and I will definitely be back. Large room, helpful staff, comfy bed. I come to Thompson fairly often and always try to book the Best Western. Very nice hotel and staff are always eager to help you out with any concerns. The Breckfast buffet is clean and spacious and great tasting. Hello John. Thank you for this review. It means a great deal. Your focus on breakfast is much appreciated. We are starting to change the menu offerings a little to keep things interesting and we hope that you will let us know what you think. Thank you for choosing our property! "Best Stay in Thompson, MB to date!" I was very pleased with the free breakfast, free snacks at night, cleanliness of hotel and room. The bed was super comfortable, and the staff respected my privacy. The fitness room was set up well for my needs, and I am happy with the plugins for the vehicles due to the extreme cold in Thompson. Dear Explorer. I am happy that you were happy with all you mentioned. We aim to go above and beyond! However, we have a question! why did you give us the low score? Curious in Thompson Manitoba. They've added a pancake machine to the breakfast which is awesome. The beds are super comfy and have full size pillows. The prices seem to have gone up recently so that's sad, but everything is clean and modern so it is kind of worth it. Hello Nancy. Thank you for choosing us for your Thompson accommodations. We had the pancake machine before, but tried the waffle maker for a while and returned to the pancake machine. People enjoy it. I hope that you will continue to stay with us in the future. Everything was good, staff, room, breakfast no issues. The hotel is well located and could walk to most places in spite of freezing temps. I was surprised by the quality of the breakfast would return for that reason alone. Hi Wally, Hope that your stay with us was great. We truly appreciate your review and hope to see you again. "Best spot to stay when in town"
Hello there Rickramble! First, thank you for the amazing review. We truly appreciate the breakfast comments. We realize that during peak times, breakfast can get a little overpopulated and usually if there is no meeting, we offer overflow seating in our meeting room, Hope to see you again. Once again this hotel does not dissapoint. Very clean and easy to get to. Staff is very helpful and eager to assist you. This hotel has one of the best breakfasts you will get for free just a great way to start the morning . I will stay there again next time I travel to Thompson. Well done. Had a funeral in Thompson and booked at this hotel through Priceline. Arrived at around 5:30pm and was quickly checked in and they had everything ready for me. Service was friendly and quick and they let me know that there was soup and nachos ready for supper if needed. Room was clean no issues at all. the standard room came with a walk in shower which was nice and the beds were super comfortable, my wife said it was the best sleep she ever had. Woke up in the morning and found that hot water was readily available, hardly even had to turn the temperature half way and enough for both of us. Breakfast provided a great selection of food, and everything was clean and neat. The breakfast staff kept everything well stocked and cleaned up whenever needed and was super friendly. The only issue was the waffle maker which no matter how much spray you put on, the waffle would not come off. Thought it was us at first but others had the same issue. Thank you for a great weekend, was a perfect get away to help deal with a hard weekend. Hello Kevin. We truly appreciate this review. You took time and were very detailed, and that is fantastic!! I will definitely be sharing with our various departments to let them know that what they do matters and is noted! About that waffle machine... We also were very disappointed in how how quickly it would become sticky and hard to manage. It was highly unpleasant for both guests and our Breakfast Attendants, - and that is not what we were aiming for, so we bid it goodbye this week. We have replaced it with a terrific pancake machine that is proving to be a fantastic replacement. I hope that should you come to Thompson again, you will see we corrected the issue. Thanks again! Hello Pam. Thank you for your kind review. We truly appreciate that you took the time to respond. If there was anything we could do better to ensure that you next stay is 5 stars, please email us or call us to let us know. Stayed a couple of nights in Thompson (great place, lots to see) at the Best Western. Well located across the road from the mall, friendly and helpful staff. Most importantly, the bed was the most comfortable I experienced during my 2 week trip to Canada. The breakfasts are also worth a mention - buffet style but (unusually) hot food and make your own waffles were available - and very good. Thank you for your great review! Truly appreciated. We hope to see you again. 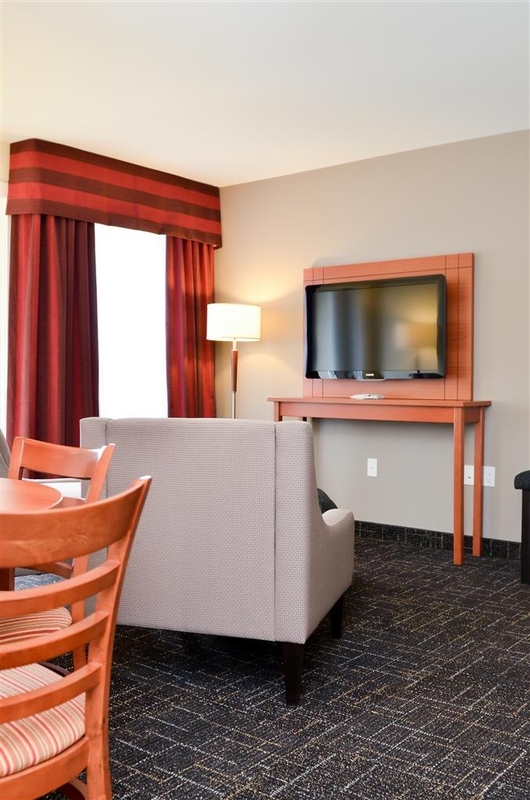 I travel to Thompson regularly for business and there is no where else I would rather stay then at the Best Western. Great service, great rooms, great amenities, close to everything. Highly recommend. Hello AKnox. Thank you for choosing to stay at our property when you are in the Thompson area. We truly appreciate your business and hope you continue to visit. When I travel north to Thompson, Best Western is my preferred hotel because of its location, excellent appearance and amenities. The rooms are clean and comfortable and the breakfast service is superior! Hello Mckee! Thank you so much for making us your hotel of choice in Thompson. We truly appreciate the great review and hope to see you again in the future. My husband and I stayed here for 3 nights and were pleasantly surprised. The hotel is nice, modern, well kept and the staff is friendly. Our room was spacious and the bed was super comfortable! Everything was clean. The bathroom didn't have a bathtub but other than that it was good. They have a fitness room and a sauna and they offer fancy water in the lobby. Free breakfast is from 7 to 10 Monday to Friday and 7 to 11 on weekends and includes cereal, sausages, eggs, waffles, toast etc. All in all it was a good experience. We would stay here again! Had a mix up with my room, they gave it away to someone else. It took a few minutes but the front desk staff found another room for me. They did not really tell me why but I did get upgraded to a suite at no extra charge. I don't mind when mistakes happen as long as they are corrected properly as this one was. "Original review requested, but missing...?" Anyway, IF you have to be in Thompson, be it business, you lost a bet, or just gotta go there once (which was my excuse) may as well stay at a hotel you know isn't going to be a crap hole. Comfy bed and overall a good place to stay. Bill. The maturation of your review puts you in a class all your own as far as review writers. While the complexity of the acumen behind this is abstruse, we still thank you for your delightful review of our beds and overall stay. I find Thompson and area outdoorsy, crisp, filled with friendly people from all over the world.. I am not sure that we are talking about the same place. Thanks for the kind review of our property. 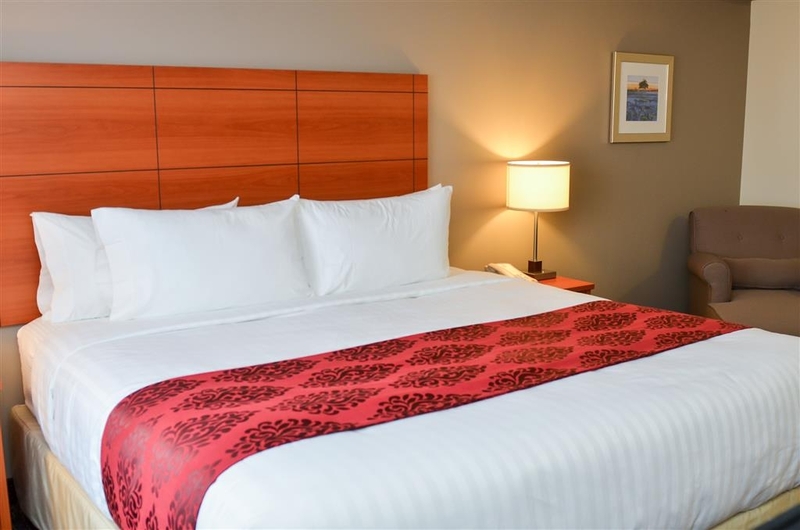 "Comfortable stay in Thompson MB"
Clean, comfortable, up-to-date rooms, excellent food service. The hotel provided complimentary soup and nachos in the late afternoon after check-in, which was above and beyond my expectations. The staff did everything possible to make me and my fellow guests feel welcome. Hello Kathy! Thank you very much for your lovely review of our property. We strive to create a wonderful , friendly customer experience. Hope to see you again. Best Western Thompson Hotel & Suites has their game in tact! I have to say I was extremely pleased with my stay this weekend. We travel to Thompson 3 to 4 times a year as family still lives up there. We arrived late, and had a very quick check in, and they even moved us to the first floor at the last minute as I am a smoker and wanted to have quick access to a door. Very accommodating. If I could steal the bed I would. Breakfast was terrific. Something different each of the 4 days we were there. Our room was refreshed perfectly every day and the housekeeping attendees were personable and friendly. The second day we were there we encountered the disgusting smell of weed/pot smoke in our room. It was upsetting as it had actually invaded our air and my wife was feeling ill. Thankfully the hotel had already been notified, and they acted responsibly in the matter. I felt very safe that they took our concerns seriously and acted fast to make sure that our health was not affected as you do not know what toxic chemicals are really being smoked anymore. I would HIGHLY recommend this hotel to anyone travelling to Thompson. Hello Ray. Thank you for taking the time to review our Property. We truly appreciate the mentions about breakfast. I am so glad we could accommodate your preference for the first floor. I invite you to call direct and book so we can make sure you have a convenient location. My sincere apologies about the encounter with the smoke. We do not condone the use of any type of smoke, or vape in our building. I am glad that we were able to resolve this issue as it was a concern for many. We hope to see you again on your next trip to Thompson. From all of us here at Best Western, Thank you. nice hotel, but absolutely despicable management. an associate, who has a prescription for medicinal marijuana for chronic disease, was kicked out because they " thought he was smoking it" because it smelled. this wasn't even the worst part. after calling to reasonably call and discuss on his behalf the GENERAL MANAGER Ethel YELLED at me and hung up on me 5 times. Then Shannon did the same thing. I am appalled and the accusations with no proof over something that is legal medically, and legal for absolutely everyone this year, is un called for. do your self a favor, and do your self a favor. they YELLED and screamed at me, and I wasn't even the person in question or in their room. They hung up and yelled multiple times, and Charged whatever they want on your credit card. Stay at days in or quality inn. Ethel, and Shannon, find a job that isn't in customer service. Once again I had a fantastic stay at this hotel. Fast checkin was perfect after a long drive from Winnipeg. Nice clean room and a very helpful staff overall just a great experience. Next time I am up in Thompson I will stay there again. Breakfast was top notch. This hotel is centrally located, staff are very friendly and helpful and the hotel is exceptionally clean and well kept. This Best Western hotel is definitely my first choice of a place to stay when I am in Thompson. Hello Cindy, We are happy that you were pleased with your stay. We hope to see you again when you are in the area. Thank you. Your review is much appreciated. We work hard to maintain the standards year over year. Our rewards system is really great, and I am glad you recommend it. Who doesn't want free rooms? From all of us here at Best Western Thompson- Thank you! We will see you on your next trip! "clean rooms good breakfast "
Stayed in the suite which was very clean and spacious. Staff was very helpful. The hot breakfast included scrambled eggs, sausage, waffles, toast, cereal and yogurt, but could of had more fresh fruit. Hello! Thank you for the review. We appreciate the time you took to review our breakfast as it is one of the areas we continue to try to improve. We offer Apples, Bananas and Oranges daily. I am sorry that you missed them during your meal. If you are ever with us again, please ask the attendant or the front desk should anything be unavailable. We hope to see you again. This was a complete surprise. I stay at a lot of hotels throughout the year for business and found this to be really nice surprise. Staff were extremely professional and helpful. The hotel supplies hot soup and nachos at 5pm. After working with a team all day, it was a nice way to unwind for everyone! So disappointed with this hotel. I always stay at best western in other cities and have never been treated this poorly by staff. We came for a hockey tournament so we have children with us. We were told by staff that if our kids are seen in the hallways we will be evicted. It's 40 below. And only 8pm on a weekend. The sign says quiet time is 11pm. If they don't want kids in their hotel then maybe they should make it an adults only establishment. And for $180 A night they could have at least cleaned the room a little better. Never staying here again. And I'll think twice before booking best western again. "Second time here - great place to stay in Thompson"
Recently spent 2 nights here. I had a large suite ; kitchen, king bed, a couple of closets, living room, 2 tvs. It was nice and spacious- a perfect size for what we needed. The beds are really comfortable. Linens are nice. There are extra pillows and blankets in teh room should you need them. The room also had a safe. There were separate thermostats for both main areas of the suite. I stayed near the end of the hall. It was quiet. You could here the guests above your room but it wasn't disruptive. The morning breakfast is included in your room rate and is served until 11am. At least it was when we were there. There are quite a few breakfast options available. It is staffed so it is kept clean and replenished quickly. There is a small business area that offers a couple of computers. Front desk staff are friendly and welcoming. This is our second time here. We were here two years ago and again it was positive. The rooms do get very dry with having to have the heat on - can't change that really. Hello Poolofjello! Thank you so much for this review of our property. We are working hard to keep it up to date and clean for our guests. We are truly;fighting the dry air in the building this winter. We do have some humidifiers on hand if people ask for them. We cannot wait for warmer weather! Thank you so much for staying with us! Its clean. The staff are helpful. The beds are comfortable. I enjoy staying here whenever I'm in Thompson for business. I also enjoy the Best Western points. I hope to cash in on the points with my family this summer. I rarely use Best Western hotels when I am on vacation but plan to see how it goes with my family. My family might think Best Western hotels are a little utilitarian for a vacation. Time will tell. Hello! Thank you for the kind review. I am happy you are enrolled in Best Western Rewards! 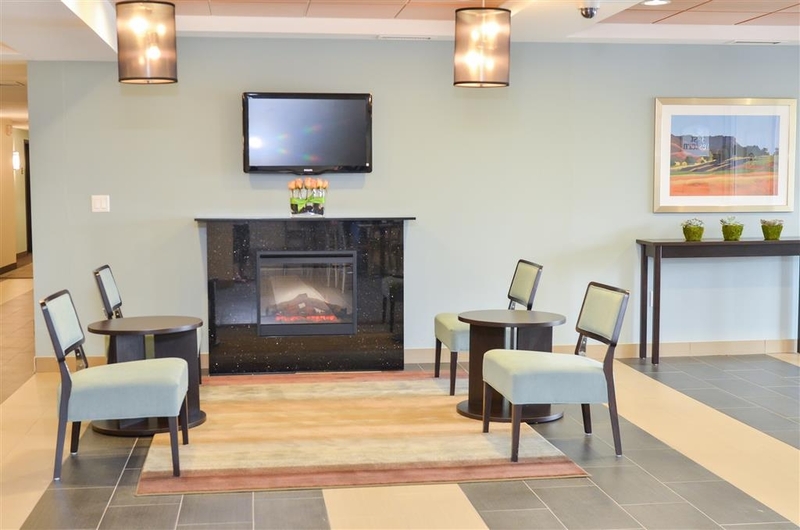 Depending on where you go, Best Western now offers a variety of hotels and accommodation types. Bestwestern.com is where to go to check it out. The points can also be accumulated and used at any of these properties. Happy vacationing! I checked in online so I was able to go to the front of the line when I asked if there was any benefit to those who checked in online. The room was clean and the staff was always friendly and helpful. Loved the light meal on the Friday night and breakfast was good. Hello Dave! We appreciate your nice review and all the things you mentioned. People are able to do more and more now using a phone or computer,and it makes sense to us to make sure that if people want a quick check in, we can do most of the work before they get here. Thank you for choosing to stay with us! Nice, clean and friendly. 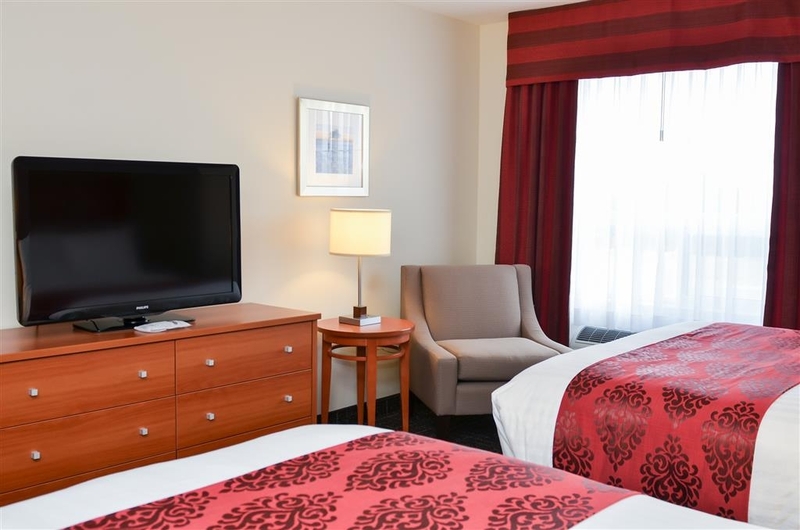 For an extended stay this hotel offers everything you may need. 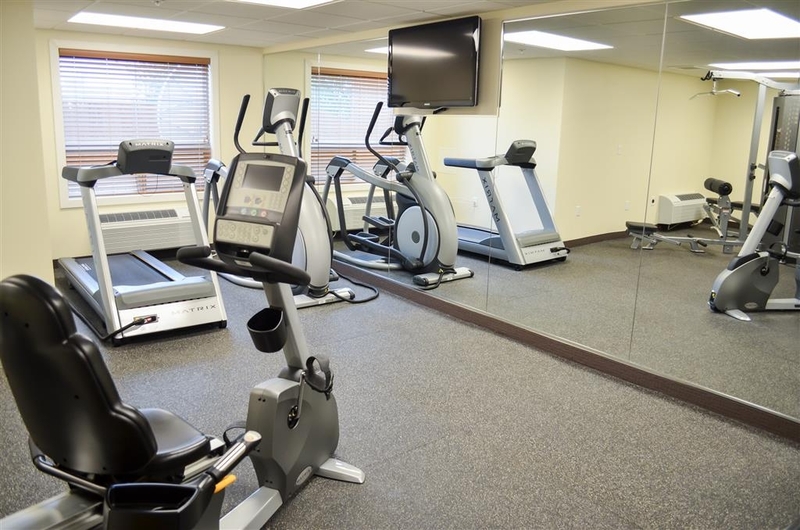 Friendly helpful staff, rooms are comfy, small gym the suffices your workout needs and breakfast is rather good. Also well centred in town for shopping or restaurants. Thank you for the lovely review of our property. 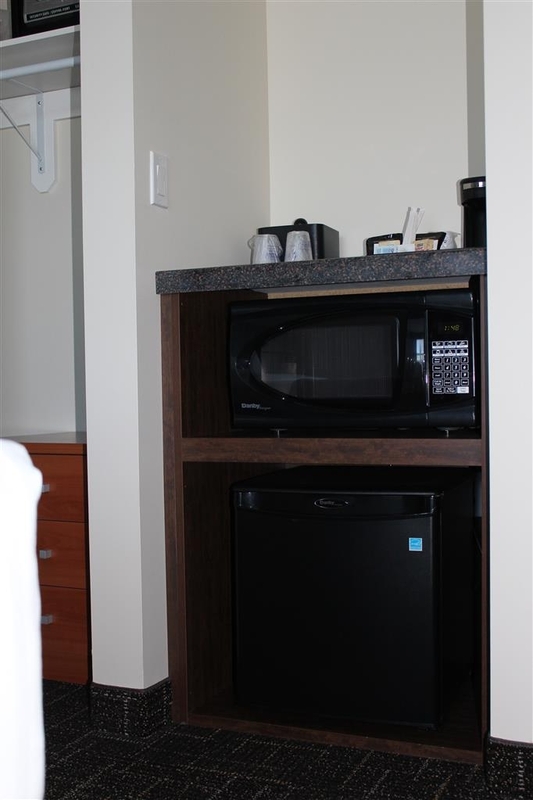 We are in close proximity to anything a person would need that we do not already offer right here in the hotel. Thank you for choosing to stay with us! Please come again. Very clean and nice hotel. Rooms were very good they could have had the parking lot cleaned as they had some snow over the weekend but overall a great place to stay and at a good price. Will stay there next time I go to Thompson. Very clean, comfortable hotel. Seems like it is not very old at all. Breakfast was very good, especially considering it was included in the rate. I will definitely stay at the Thompson Best Western again. 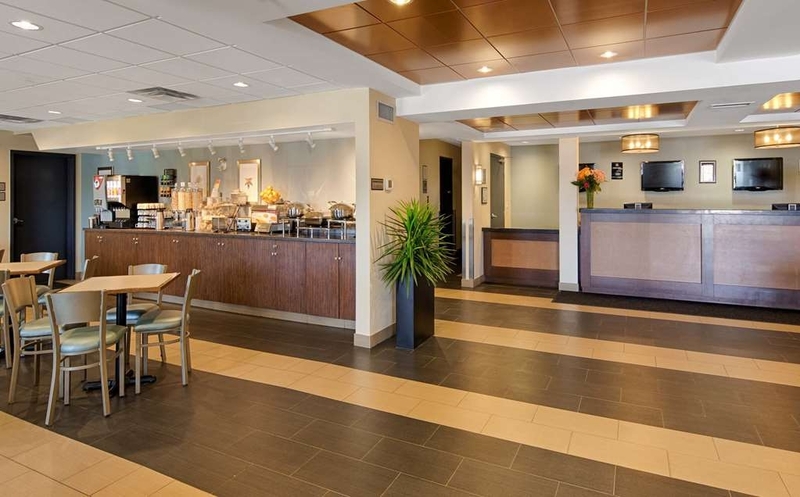 This hotel offers convenience and comfort especially for business/work-related travel. Located near the town's centre with stores and amenities, this is the place to stay in Thompson. The rooms are spacious, with a bar fridge, large washroom and desk. An 8-10 minute drive to the airport, it offers the basic amenities you need for a comfortable stay. Nice modern hotel. Very clean and quiet. Excellent décor in rooms. Good variety for breakfast items offered - not the same items every day; three days and three different hot items were offered along with the usual cold cereal, toast, muffins etc. Walking distance to local shops and restaurants despite the cold weather at the time. "Best Hotel Option in Thompson"
I have stayed at other hotels in Thompson and this is by far the nicest... fresh decor, clean rooms, excellent breakfast, friendly staff, recent upgrades, good internet connection. The location is also excellent... centrally located in Thompson, near restaurants and stores, and convenient access to the airport. Taxi services were always quick and easy. Very clean hotel, great dollar value, friendly staff. Would stay here every visit to Thompson without hesitation. Traveled with a hockey team and the staff let our parents use the eating are to gather int he evenings at curfew until quiet time. Hello Shannon, Thank you for choosing to stay with us during your hockey Weekend. We appreciate your feedback, and hope to see you again on your next trip! Sincerely, Shannon R.
"Nice Facility, Some things lacking"
Marc, Normally we have the breakfast bar Television on low volume, but have the closed captions on so that people can watch the news and still enjoy conversation in the area. However, we did notice that the closed captions were off after another guest told us about the sound. Our breakfast bar attendant is new, but speaks normal English, so not sure what that is about. I do wish that whomever you talked to would have asked us for help in this matter rather than leaving you unsatisfied with the television volume. It is unfortunate that you were unsatisfied with your stay due to us not being able to accommodate your gaming activities. We have the highest bandwidth possible, and work very hard to make sure our internet is accommodating, available and secure. Sincerely, Shannon R.
The Best Western is a very good place to stay if you conduct work in the Thompson area. The hot breakfast is good and open till 10 am. The hotel is close to the airport and a Tim's restaurant and Boston pizza are close to the hotel. Hello Rob, Thank you for taking the time to review our property. I will be sharing your wonderful review with the team. Thank you and hope to see you again if you are in Thompson. Sincerely, Shannon R.
Don, Thank you so much for your great review of our property. The team here works really hard to make sure our guests have an exceptional experience. I will be sharing this review with the team to let them know they are on the right track. Sincerely, Shannon R.
"Clean rooms and excellent service"
This is a very well maintained and clean hotel. Rooms were quiet and breakfast is good. Easy to get anywhere from here. Staff we pleasant and accommodating. Only thing to improve on is the coffee. First visit to Thompson. Wolves and murals around town are lovely. This is my hotel of choice in Thompson, it has pleasant and helpful staff, clean rooms, great breakfast, great location and I look forward to being there. The fitness room could be a bit better but it does the trick. Clean, modern. Newer than the Days Inn. Breakfast was good. Parking lot was well lit and seemed secure. Wifi was strong. Breakfast opened early to accommodate some guests. I would stay here again when in town. Located in the heart of town on a central street. I come to Thompson about 3 times a year for work and always stay here. Excellent service from staff. Lovely updated and CLEAN hotel. Super comfy beds. Only "thing" i've ever experienced was when a huge hockey group was also therr on a Saturday morning the breakfast wasn't as good as it ususally is... But 99.999% of the time this is the best Best Western there is!!! 10/10 highly reccommend. We stayed at this hotel for two nights. We were a large group who booked 10+ rooms. The breakfast was excellent. Staff was friendly, helpful and accommodating. Beds and pillows were very comfortable. Always plenty of hot water. Great location and very easy to get around in Thompson. We would definitely stay here again! Only problem for us was there were no bathtubs and we had several small children in our group! Our stay at the Best Western in Thompson was truly a flawless experience. 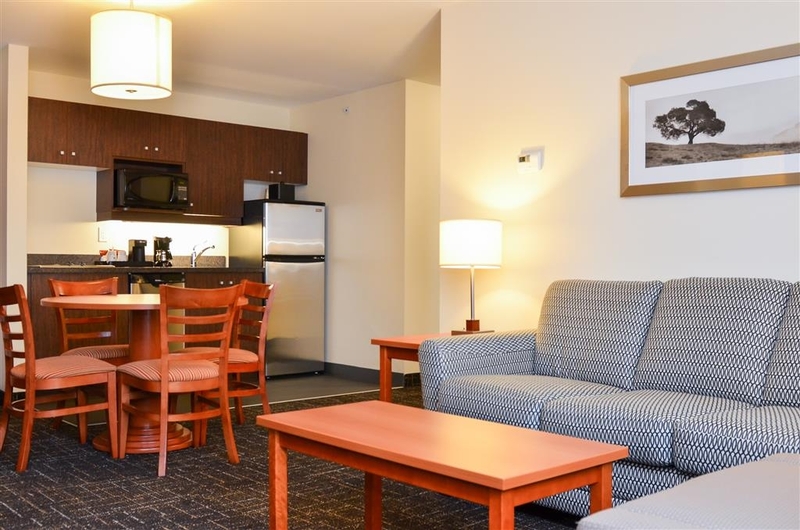 Easy check-in, spotless rooms, and a fantastic breakfast spread included in the price. We will definitely stay here again when our adventures take us through Thompson! We stayed one wonderful night with a Natural Habitat Tour on our way to Churchill. Many thanks to the Management and support staff for making our stay an exceptionally pleasant one. Our room was so very clean, comfortable, and peaceful. Our deliciously nutritious breakfast was served in a lovely room. Thank goodness for the laundry room! Loved the apples!!!!!!!!!! Looking forward to our next visit! "Clean, comfortable and well situated"
The room was clean, as were the sheets and towels. I found the bed very comfortable. All the room amenities worked and the people very pleasant and helpful. The hotel location was central to the airport and town. I regularly travel to Thompson and stay in different hotels when I go. This hotel is my favorite. The beds are absolutely perfect - slept like a baby for a whole week. All the staff are super helpful and friendly. The hotel and rooms are clean and the shower was great. The coffee in the breakfast room was disgusting, but that's my only criticism. Will definitely stay again. Hello Shelley R., This is a wonderful review of our property! It is so uplifting and positive that we are sharing this at our meeting with our team, as compliments like this mean so very much. Thank you from all of us. Hope to see you again soon! Sincerely, Shannon R.
"Likely best hotel in Thompson"
The hotel is very new with the sort of amenities and fixtures you would expect from a Best Western or any modern hotel nowadays. Nothing spectacular, but certainly above average and probably worth the extra dollars compared to other local hotels. There is no pool, which is my only criticism. Lodestar-Crusader Thank you for the review of our property. I hope that you choose to stay with us again on your next visit to Thompson. Have a great day. Shannon R.
From the moment I walked in the door to the time I checked out the staff was very helpful and friendly. They went out of their way to let me know they were available if I needed anything whenever I came their view they acknowledged that I was there. They made sure I was well informed about any promotions such as the light dinner offered that day. The room was great, it smelled great and the bed was very comfortable. The breakfast was very good with a great selection of hot and cold items. I couldn't have asked for more and blew my expectations out of the water.... the only negative I have about this stay was that I was in another town the next night and it made my next hotel room (in another chain) very disappointing... I loved my stay and I will always choose Best Western when given the choice! Hello X809WPmichaels! If I could sum up your review of our property in one word it would be "Awesome"! This is much appreciated, and we are very grateful you took the time to share your experience. I do so hope that if you are in the area again, you stay with us. Sincerely, Shannon R.
Everything was good except for the terrible mattress ! It was way to soft for us and pillows were stinky! Hotel itself is nice ! People are friendly but breakfast was just breakfast ~ nothing special ! I did not complain but it is what is it !!! Firmer mattress please !! Dear Rose C, Thank you for your honest review. While, most people do enjoy our mattress style, a premium pillow top mattress that we use in all of our rooms, it was unfortunate that you did not. We would have solved the problem with the pillows immediately if you had called the front desk to let them know. We have ample pillows for exchange as well as different options for all preferences. It is regretful that we did not get the chance to make that right for your stay. We hope to see you again if you are staying in the Thompson area. Sincerely, Shannon R.
Very clean & well maintained hotel. Staff were friendly & attentive. Room was clean, well stocked with soaps , towels. Breakfast area was spacious, good selection of food, well displayed items & maintained by staff. "Best place to stay in Thompson"
Very nice, clean hotel. Friendly staff. Rooms are excellent. The only place to stay in Thompson. Very close to the grocery store (Starbucks) and Tim Hortons. Nice view of the park to the East of the hotel. The hotel was clean and the beds were very comfortable. Restaurants were in walking distance and breakfast was good. Felt safe and parking was free, as was WIFI. Would recommend this to all travelers. Would have liked a pool. The staff was helpful and accomodating. Had an excellent stay at best western, Thompson Manitoba. staff were nice and helpful. everything i need was attended. great service. sauna and fitness center was awesome. their breakfast was great plus their manager special too. "If there is an emergency, run!" There was a fire during my stay and the staff did not how to deal with it... I had to tell them what to do! Also the say they have high speed internet but not while I was there... Disappointing for a BW. Also took me over 15 minutes to check in when there was only one person in front of me. The hotel is located down town and was good for walking around to see the sights. There are a number of food places close by also. The staff were helpful. Not sure if they had a continental breakfast as we had to leave early. I had a great stay, with helpful and friendly staff. I spent 5 nights with no issues. Very clean room. The only issue was a noisy vent outside the room that bothered me a little, but beside that the overall stay was great. They got a very nice and clean hotel room. Breakfast is also great and fresh!I just love staying here every time I go to Thompson. The Filipino staff are well trained and very accommodating. I just love the ambiance here and sleeping here was wonderful as well. Everything to Best Western Hotel in Thompson is pretty near. It is just a walk away from the mall, grocery, hospital, library and park. I will definitely come back here to stay and book at Best Western Hotel Thompson. It is cozy and comfortable in here. This is a fairly new hotel with a very friendly and accommodating staff. 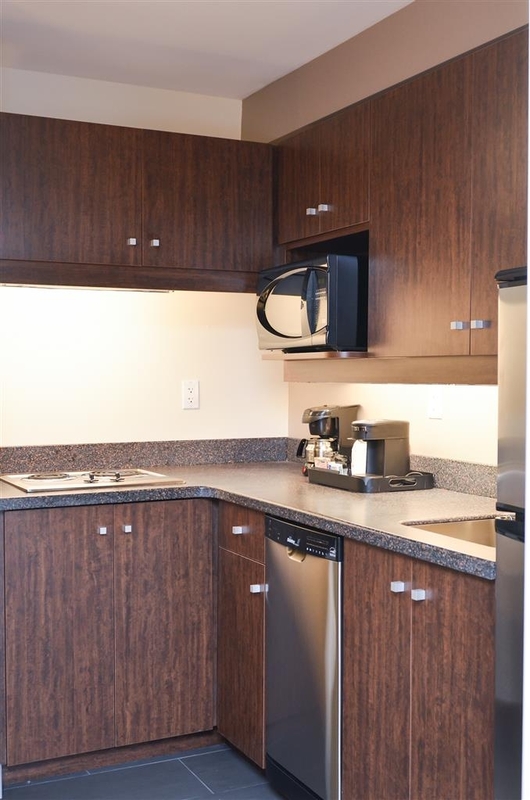 So clean and new with all the proper amenities. The breakfast was quite tasty in the morning. Had a great nights sleep and look forward to staying here again on my return trip. Very nice hotel in Thompson , overall very nice experience and was there for 12 nights and all day observe that staff was very cooperative and informative Over all very good experience and recommend to stay in hotel. Very Nice experience , overall comfortable , nice and clean , all staff was very cooperative, I recommend to stay in hotel if you are in Thompson , nice location and near to the airport, overall Thompson is small place but Hotel is very nice. "GREAT BEDS IN NOISY ROOMS"
The rooms are very well appointed. 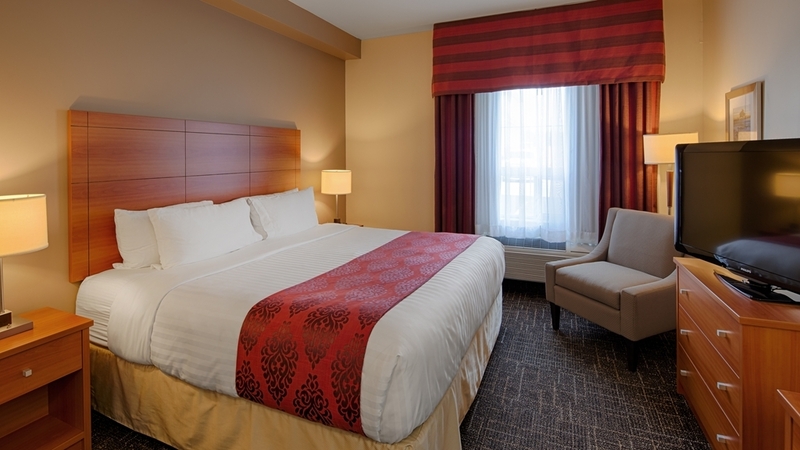 A wonderfully comfortable king size bed and excellent amenities in the room. The shower stall is a great feature, i.e. not having to hurdle over the lip of a bath tub. The desk chair was a bit of an adventure, i.e. if you leaned back you were off on a trip! Good selection of TV channels although very few in HD. Wifi was okay. Two misses. The rooms are noisy as anyone going down the hall talking is like they are in the room. Get a top floor to avoid the chance of having a family of elephants stay above you thumping around. The food at the breakfast room was unhood. Not warm let alone hot. I mentioned that the food in the chaffing dishes (eggs, potatoes, sausage) was cold and maybe the heating element was off. Nothing was done. I had to throw mine out as it was inedible. I also noticed that the garbage can was overflowing about halfway through the service and it was never emptied. Some good, some not so good. "quality at a very reasonable price"
Have stayed at this Best Western before and they never disappoint! The room was an upgrade due to my Best Western status but even their basic rooms are very good and I highly recommend! Staff are friendly and by far its the best hotel in Thompson! Welcome Back. It is so nice to have a repeat guest take the time to give us a review like this one. We truly appreciate your patronage, and hope that you continue to stay with us. On behalf of our team here at Best Western Thompson Hotel & Suites, Thank you! Shannon R.
This was a nice Best Western. The breakfast was great. Always had scrambled eggs and a choice of a starch and Meat, as well as the full continental spread. My room was a bit stinky, but I bought an air-freshener so it was fine. The bed was comfortable, and the hotel was quiet. I was concerned because I was near the elevator, but it turned out fine. Rooms were quite large. Hello Congoroom. Thank you for the review regarding your stay with us. 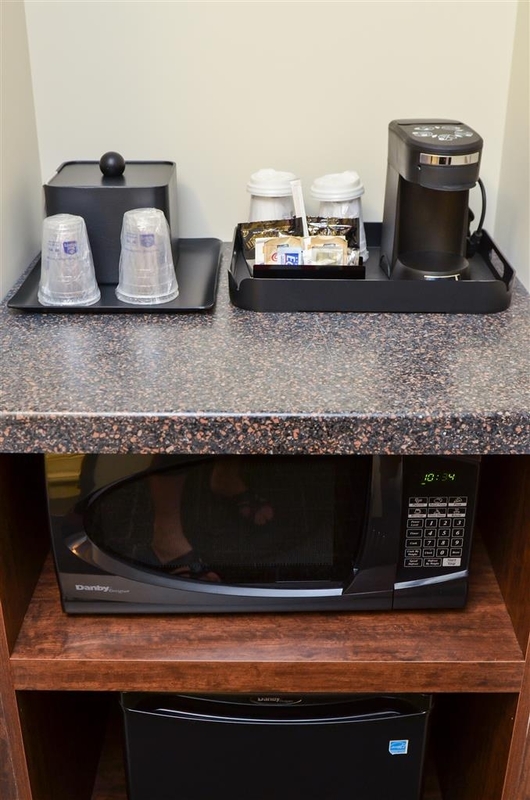 Although we are a Best Western, we offer a breakfast standard of a Best Western plus, because we know how important it is to start a day right. I wish you had contacted us about the scent in your room, as we aim to make sure that there is never an unpleasant odor in any room, or public area. Our goal if this happens is to find it and fix it. Thank you for choosing to stay with us. Sincerely, Shannon R.
We stayed one night. The hotel looks brand new. The rooms are excellent with big extra comfy beds. It was a bit cool so i put up the heat and they worked fast and were not noisy. The breakfast was one of the best, eggs,ham pancakes and it had cappuccinos lattes etc. Hello Sean, We greatly appreciate your excellent review of our property. The team works very hard to upkeep the new feel and appearance of the building and rooms. Thank you for your breakfast comments. We hope that people are enjoying our added coffee options as we feel it adds variety to our breakfast. Hope to see you again if you need to stay in Thompson. Sincerely, Shannon R.
this hotel rates as one of the best ever places to stay in Manitoba. 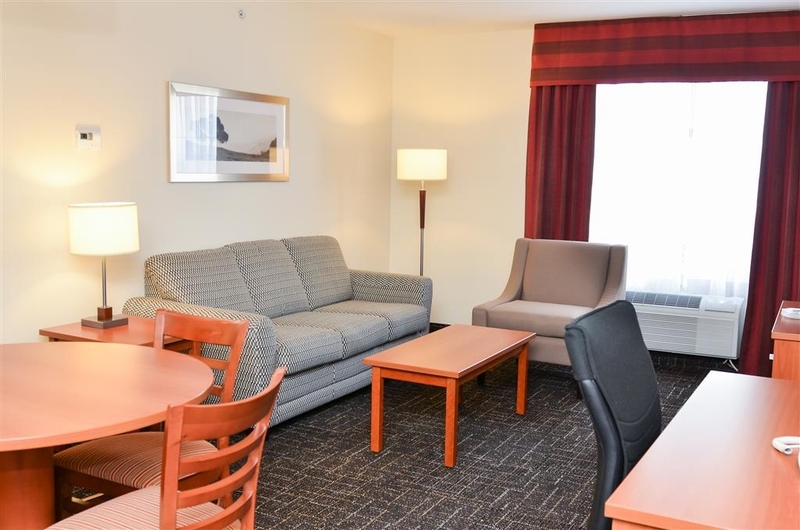 we use best western when ever can because of the great service and politeness of the staff. we also love the breakfast they serve and how friendly the staff is. Hello Gordon, Your review was amazing, and so I made sure everyone knew that they had a part in how we made you feel. Please come stay with us again when you are in the area. Sincerely, Shannon R.
Very clean rooms,friendly personnel, genuine continental breakfas. Northern gateway - beautiful lakes and rivers close by. Lovely weather in summer. But I understand that in winter it could be very cold. Very nice and modern hotel well kept and very clean. Had a very good breakfast in the morning will stay there again next time I go up to Thompson. Staff was very helpfull at check in and check out. It is nice to walk into the lobby and find it clean and smelling fresh. Hi Patrick! Thank you for this wonderful Review. We truly appreciate your positive comments. I will share this with the entire team so they can see that what they do makes the difference. Hope to see you again soon. Regards, Shannon R.
Instayed there last night. The staff was so friendly and the hotel was one of the cleanest hotel i have ever stayed in. They have a great breakfast also. You will not be disappointed on your stay here. And it was very quet all night. Super comfortable bed and a fantastically cleaned room. Better sleep than at home, which is fantastic for a business trip. All staff that All staff I encountered were professional and friendly. Thank you, I'll be staying again. Hello Kelly, Are our beds FANTASTIC or what? Thank you for your review of the property. We try very hard to create a Wonderful Guest Experience, and thank you for reviewing us in such a positive manner. We truly appreciate it. Hope to see you again soon! Shannon R.
Cozy and comfortable stay in Thompson. Large room, with option of a balcony making a quaint cigar roost. Standard breakfast in the morning, clean rooms and friendly and courteous staff. Have stayed here previously and will return again when in the community. Hi BKal50, Thank you for your review. 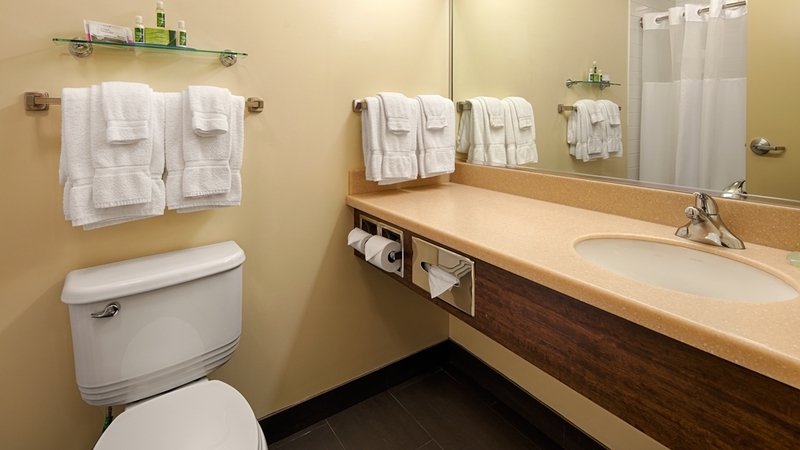 We strive to maintain a clean and fully functioning hotel for our guests. Thank you for the review highlighting that we have a Balcony Suite option. They do come in handy for those who wish to only step right outside for fresh air. Please visit us again soon. Shannon R.
I can't say enough nice things about this hotel. The staff were exemplary, particularly Shannon and Dolcey; the room was far better than I had expected, and the breakfast was delicious. I felt welcome from the moment I arrived at the property, which is well-maintained, and which has a nice, immaculately clean lobby. The standard room I was in had an incredibly comfortable king-sized bed with lots of pillows, the television reception was good, and the bathroom spotless with nice Bath and Body Works toiletries. Its location couldn't have been better; I came down from northern Manitoba to do some winter shopping and the hotel was kitty-corner to the mall containing a Mark's Work Warehouse and a Walmart. It is also handy for the McDonald's and the Boston Pizza in town. Breakfast, which is available from 6:00 a.m. until 10:00 a.m. consists of everything you could possibly want: I'm not much of a breakfast eater, but they had pastries, eggs, bacon, sausages, pancakes, yoghut, several different types of juice, cold cereal, and coffee and tea. The hotel kindly held onto my baggage after I checked out so that I could finish my shopping unencumbered by luggage before I caught the train back to the north. A vending machine, an ATM, and an ice machine are available in the hallway leading off the lobby. Hello Allie, Thank you for the very detailed review of the property. We truly appreciate that you took the time to touch on all the aspects that you did. People often look to reviews to pick a place to stay, and yours is wonderful in its detail! We hope that you will stop in again when you travel to or though Thompson. Sincerely, Shannon R.
Only stay at this hotel if you go to Thompson,MB. Great hotel and nice staff! Brand new hotel very clean and well maintained, room was great! Breakfast offered at the hotel was okay, what you'd expect from a hotel free meal. Best western hotel, the staff are friendly and helpful I stayed in two different room types standard and balcony, The balcony room was best, better and bigger cooker, fridge and space, the standard room king was good and cooking facilities were small but manageable, Good gym, good parking lot, short walk to shops, Nice clean hotel, best in town and recommend a staying there. Breakfast typical hotel, good but nothing to right home about. Hello Bill, Sincere thanks to you for your lovely review of the property. 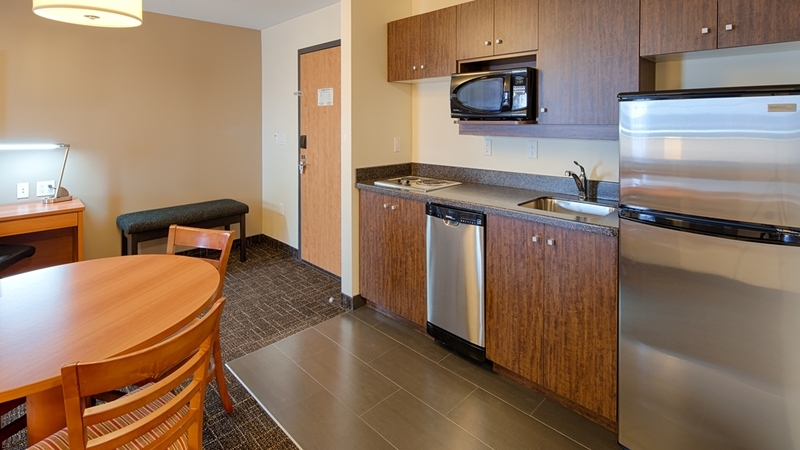 We have many different room types outfitted for longer stays, (Balcony suite, King Suite, Extended Stay Suite). Thank you for your feedback about using them. We want to do even better with breakfast. If there are any specific suggestions that you think would help us improve this part of our service, please let us know. We truly appreciate and try to use guest feedback to improve. Regards, Shannon R.
A beautiful hotel in Thompson. My room was clean, well stocked and had the most comfortable bed. Stay were nice and the free breakfast is quite good and it's included in the price. The only issue for me was there was no restaurant attached to the hotel so in the evening, you have NO choice but to go out. "Clean, quiet, helpful staff. " Newer hotel, modern, clean & quiet. 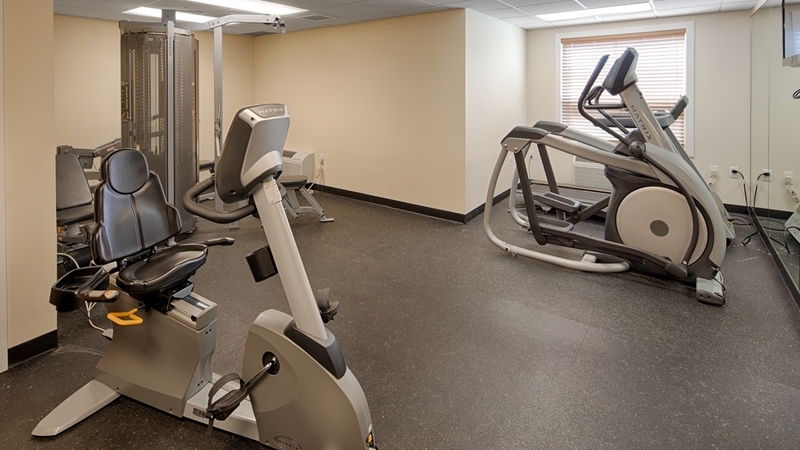 Fitness centre small but well equipped: all new machines. Staff friendly & helpful. Reasonable rates. Ample parking Basic breakfast (one hot meat, pancake machine, toast, etc.) included with stay. Stayed on the main floor. Some upper rooms have mini balconies which look nice. Nice modern hotel with excellent breakfast. THe beds are very comfortable, and the hotel was clean. Nice to have a parking area that is well monitored in this city. Only downside is that the road noise can get loud during the day, but is fine for sleeping at night time. What a hotel, has great staff and a breakfast area that offers good food included in the price. 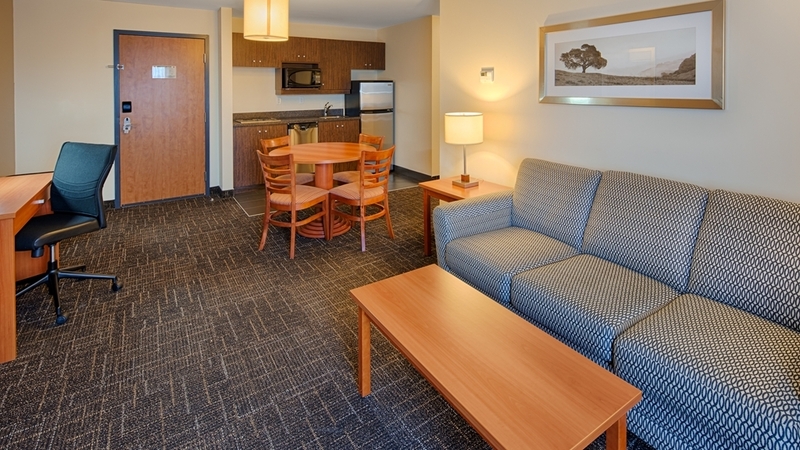 The rooms are spacious and the parking lot is great for just rolling in or out for your stay. The hotel offers rooms (suites) that you can sit out on a balcony and enjoy the sites. Check out their FB page they have clowns pictures as well, that would be Bobo & Toothy from the Khartum Komedians up there for the Shrine Circus 2016. Great staff and very helpful too! This is a modern hotel with the expected amenities for a business traveller, including a decent weight room. It is close to restaurants, fast food, shopping and groceries. The hotel room was clean and modern and so were the public areas and parking lot. The staff were really friendly and helpful with dinner suggestions. The breakfast was mediocre but that is typical with free breakfast buffets offered at many hotel chains these days. I would rock mend this as a place to stay when in Thompson. This was my first time staying at this hotel. Staff were very friendly and got me checked in quickly. Room was nice. Clean. The wifi was a bit on the slow side. Location in town is very good with everything close by. Hotel itself was pretty quiet. Super comfortable bed and pillows. Clean hotel and room. Decent price for Thompson, centrally located. Friendly staff. Quiet hotel, breakfast included. Strongly recommend for both families and business travellers. Good sized desk in room. Greetings Dan, This review is wonderful. Thank you for your kind review of our property. We sincerely appreciate it and the recommendation to others. Hope that should you travel though Thompson and area again, you choose to stay here. Regards, Shannon R.
I have stayed there numerous times as our travels take us through Thompson quite a bit. Always a great experience. Front end staff are friendly and always helpful. Rooms are clean and comfy and they always upgrade my room when they can. Paid way more for way less in other cities. Nice hotel. Hello Jeff, Thank you for the review of our property. We appreciate that you took the time to let us know how we are doing. Hopefully we see you again. Sincerely, Shannon R.
staff is great,,very clean hotel. The staff are the most polite people I have met. They will do anything to make your stay as comfortable as possible. I have lived in this hotel for six months and it felt like home. This was a couple of years ago and nothing has changed. Overall a good stay, beds are great, the room was clean. Only bad things were the hall way was too warm and the internet did cut in and out all the time which was frustrating. You have to get down quick for breakfast or the eggs will be on the cool side. Overall it is a good hotel. I will stay again as its one of the few clean hotels in Thompson! Hello Leitta, Thank you for your review of our property. I wish that you had felt confident in bringing forward your concerns during your stay so that we could have resolved them early on. Usually if guests have issues with the internet, we are able to resolve them in a short period. We find that communication of guest issues allows us for timely resolution, and prevention of frustration on the guests behalf. We thank you for taking the time to let us know what we could have done better. Sincerely, Shannon R.
Stayed here for work, and was very impressed. The hotel is a few years old, but looks brand new. The staff was incredibly friendly and helpful. We rented a room for a meeting and it was everything we needed and more. Very well done. Hello Zappafeld, Thank you for this positive review. We are 4 years old and work hard to maintain the facility. We truly appreciate this response and will share it with our team. I hope that if you come to stay in Thompson again on business, you will choose us again. Sincerely, Shannon R.
Hotel was clean and tidy. Rooms were modern. Typical "hot" breakfast. Staff was unable to provide me with Express checkout or apply my CPSA rate to hotel room. They looked it up and told me the reduced rate but were "unable" to apply to my booking. Cost me an extra $30 per night. Argued with me about it as well. It turned a good stay into a bad experience vey quickly. When a guest books though a travel agent who does not have access to a CPSA rate, the rate will not register. This is something local that must be done at property level.. The actual rate difference was $18.92 and we corrected this on the same day. We did credit you back the same date. Thank you however for your honest review of our property, our cleanliness, and amenities. We invite you to book direct with us in the future, which I am certain would improve your experience overall. Sincerely, Shannon R.
"New and Clean Hotel in Thompson"
Stay at the Best Western while in Thompson for work. It's the newest hotel in town and it shows. Very clean facility and friendly staff. The room was good size and not over crowded. The washroom was big with a separate bath and walk-in shower. This is the only place I'd stay at if work requires me to return to Thompson. Hello DMulligan, What a wonderful review of our property. Thank you very much, I will make sure we share this with our entire team as it is they who make the difference with the work they do. I hope that should you return to Thompson, we see you again. Sincerely, Shannon R.
"New hotel and a nice stay." Stayed here for 2 nights with my girlfriend in July 2015 when we came for a friend's wedding. The hotel is newly built and in an awesome location. 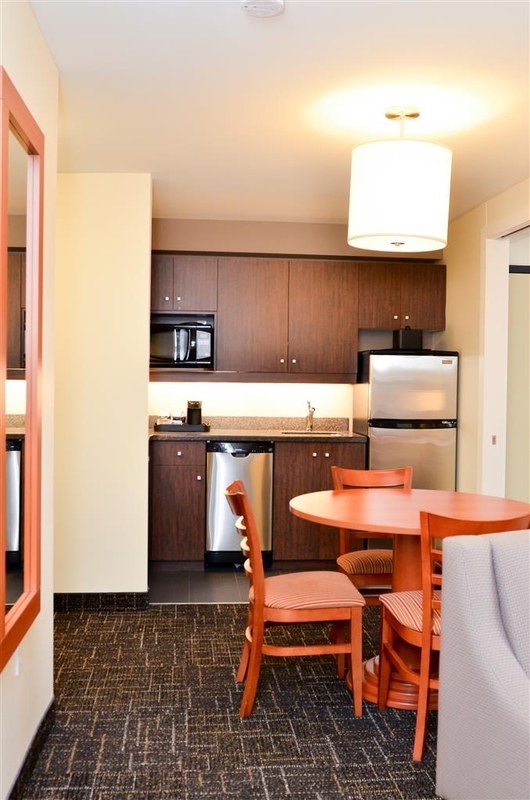 Within walking distance to the mall, restaurants and bars. Located right on the main road/highway from Thompson Airport and Winnipeg so easy to locate. The room was clean and the beds were very comfy. No complains there. The hotel has an indoor pool which we never used because were too busy. They also have a free breakfast with a typical hotel selection. No complains either. The front desk service was really helpful and we received most of the items we asked for in the room. Overall a decent hotel to stay while in Thompson. You can't beat the location of the BW in Thompson. It's at the main intersection in town and it is surrounded by shopping malls and restaurants. The parking lot is easy to get in to and out of. 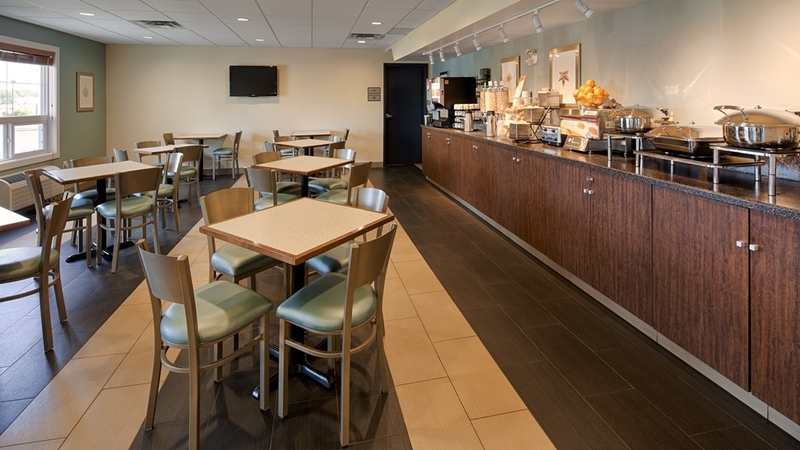 The room was clean, the staff cheerful, and the breakfast nook not too crowded. My only suggestion was to have floor mats in the elevators; it was getting a little muddy in there. But that was my only nit to pick. We were there in December. The hotel is clean, and they worked very hard to keep it that way as unseasonably warm weather melted snow and sand which was tracked in. We had a suite. It consisted of a large sitting and dining area, a bedroom, and bathroom. The bathroom had a large shower but no tub. Not a big deal, but sometimes one likes to soak. The suite was well equipped with everything we needed but it was a little uncomfortable in that there was no couch in the living area, just two somewhat uncomfortable arm chairs. Others have commented on the crazy cable TV system. So passe. simple cable and fast internet as most people are streaming nowadays. Internet was good and free - which we needed as this was a working trip. We had the complimentary breakfast downstairs daily. Food was good, no shortage of options from cereals through fruit to pancakes, scrambled eggs, and meat and hash browns which they changed up daily (ham/bacon/sausage). Front staff were always friendly. Check in and check out were a breeze. Great place to stay when in Thompson. I have stayed at this hotel in the past and enjoyed my stay. During my stay this time, there was a small misunderstanding between myself and management. The problem was dealt with quickly and professionally. Thank you for making sure my stay lived up to my previous experience. a bit pricey. they turn the heat way down at night. it takes a long time to check out. i think it took almost 25 minutes to get printed receipts for 3 room Breakfast is good, but the cereal dispensers dont work well. Good luck getting cheerios. "very comfy beds - great place to stay"
Just stayed here for a night this past weekend. Friendly desk welcome and check in. Room was comfortable, microwave, mini fridge, flat panel tvs, coffee makers. Beds are really comfortable. A large group of us stayed - we had at least 15 rooms. Everyone remarked on the comfortable beds. Breakfast is included and there are lots of options. This is located in an area that is central to many options. Mall across the street has groceries, a Starbucks, Tim Hortons, Safeway. Area around has a few restaurants.Arena is very close by. If I was in Thompson again would definitely stay here. Took a balcony suite and spent the night in Thompson before driving onward to Winnipeg. Suite had everything that was needed, my spouse spent a little time on the balcony for lifestyle breaks and was happy with room as well. The only downside is the uncomfortable chairs in the living room but that was minor. Great clean and comfortable beds !! Staff is friendly upon arrival although not sure on How to 'key' in the number code for being a repeat customer that head office sent us for $25 discount ! By check out in the am that person did not know either therefore they Charged my credit card for full amount ! On another note Rabbi in the breakfast section Is very nice and friendly! She goes above and beyond to keep this area top notch and Everything fully stocked and hot ! Breakfast was very good!! We were in a rush to leave due to the upcoming storm & she urged us to take a "coffee to go"! "A lot nice then I ever imagined. Business travel." Good staff, fast check in. Room was ready at 11AM for us which was nice. We hadn't requested in advance. I have stayed in a lot of hotels (luxury and otherwise) and this was definitely a surprise - its in my top 5, it meet everything important to me (listed below): Wi-Fi - good, however Netflix slows down in the evening. email and other non-streaming stuff works great. My business partner experienced the same on same floor - 3rd. Food - pretty good, coffee (lobby) is excellent and made fresh from a dispenser Room - very clean I was very impressed. Shower - hot as you want, great for steaming clothes if you are so inclined. Bed - clean and very comfortable. Wash products - I forgot my body wash, and had to use hotel soap - its bath and body works stuff, an unexpected thing to find good quality products available. Shoe shine cloth (not bath and body works) is great, did a great job. Hello SeanKiely, I am sure to pass on your review to all our Team Members here at Best Western Thompson Hotel & Suites. It is very important to know that they made a good impact and that your review reflected that. We try to provide an excellent experience, be it for one night or a long time. I hope that shoudl you ever visit Thompson again, you will again stay with us. Sincerely, Shannon R.
Clean, comfortable stay and will return every time when in the area. Room was top quality, bed was extremely comfortable. If I could change one thing it would be the tv service, hard to navigate channels with such a basic cable service. "Great Value in a New Property"
When traveling in Western Canada, usually the choice of hotels in the northern parts of the country are less than what we are used to. This Best Western in Thompson is a real nice change. It is new, clean and very welcoming. I will stay here again in the future for my business travel. "Probably the best in Thompson." Fairly standard stay for a best western. Staff were very good. A few small issues with the room but overall a clean hotel. Certainly in the top 2 for Thompson. Very good hotel breakfast as well. Window drapes on 1st floor don't close which is weird. Hello Leigh, Thank you for the review of our property. I am glad that overall you had a positive experience. We are dismayed that you were unable to find the black out curtains located on the window in your room. I inspected the room to make sure that nothing was amiss, and they were there. How unfortunate that we did not resolve this for you while you were on the property! I hope that should you come back to Thompson, you come stay with us again. Thank you for choosing Best Western Thompson. Sincerely, Shannon R.
New hotel. Safe in room, though there weren't instructions and the staff had to come show us how to use this non-standard safe. Though it had a good elevator, it also had a very nice interior staircase—carpeted, not too wide, good handrails, nicely lit with only a few steps to each landing. Used the breakfast area for our picnic lunches and dinners. Bright, warm , convenient, and inviting. Others did, too. Our room had two king size beds; very nice. We used the laundry machines. Greetings JB Whitehouse, Thank you for the heads up about our Safe instructions. We do keep instructions in each room, and unfortunately no one replaced the one from your room. We have since reviewed and made sure they were all in place again. 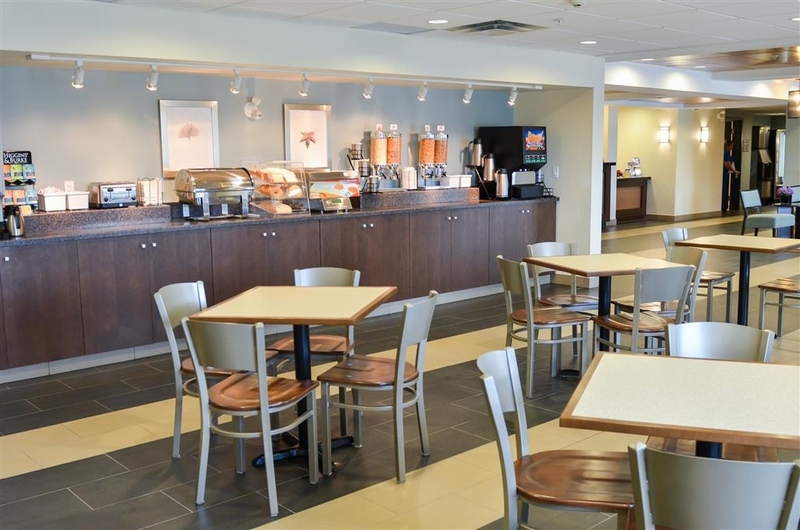 We are glad you made use of our Breakfast bar, as we encourage our guests to use the public areas so that they feel at home while in Thompson. We will share your review with the team and thank them for their part in your stay. Sincerely, Shannon R.
Property is my only choice when traveling to Thompson on business. Staff are always found to be pleasant upon arrival and exceptional in delivering customer service. Property is conveniently located within walking distance to the mall and restaurants/fast food establishments.